SoftPlanet makes it possible for everyone to get free Touchless Touch download directly from our servers. There is no registration needed for downloading. 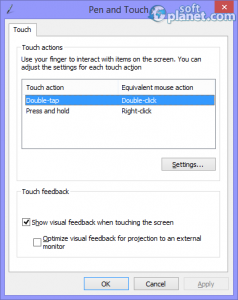 Touchless Touch 1.4 is a handy application that can allow you to begin using your screen or projection screen as a touch screen. This is possible thanks to the Kinect or Primesense (OpenNI) sensors. The software allows you to plug up to four sensors and thus you can extend the size of the touchable area and increase the accuracy of that same area if many people use it. Touchless Touch has a built-in configuration manager that will assist you with all settings and configurations. When this step is done, you will have the chance to test the system before using it. Sometimes you may have problems if your surface is more or less reflective. That will require an extra step to be taken during the calibration process. Touchless Touch has a pen and touch control panel where you can use your finger to adjust the settings for Double-tap and Press and hold actions. 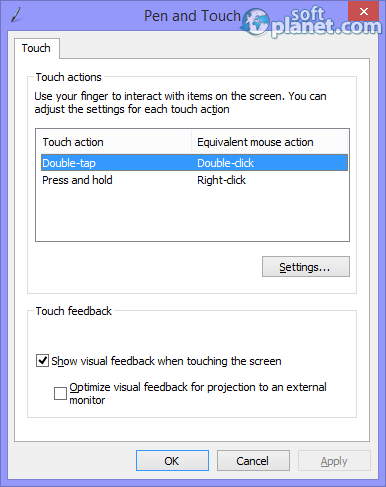 Visual feedback can be enabled if you want to know when the screen touch is accepted. Our security scan shows that Touchless Touch is clean from viruses. The current version of Touchless Touch has been scanned by our system, which contains 46 different anti-virus algorithms. That ensures that Touchless Touch 1.4 is 100% safe for your computer.